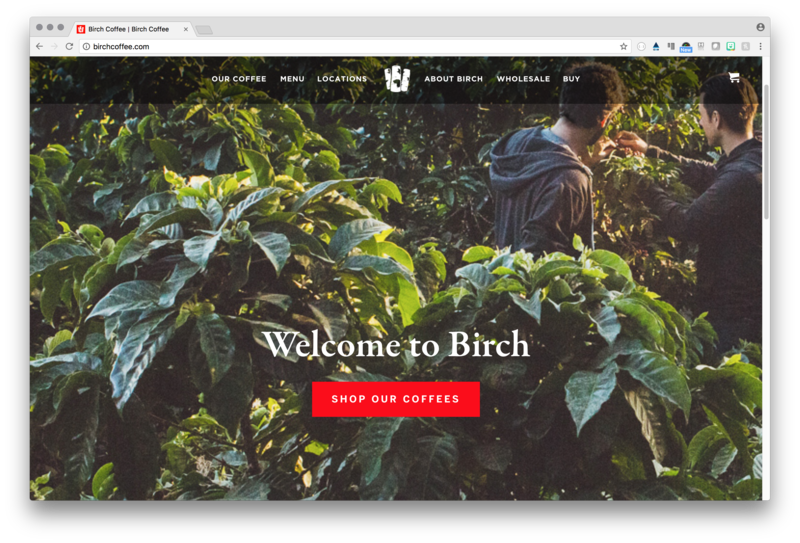 Birch Coffee, an up-and-coming coffee brand with both retail stores and distributed product, sought to create a web presence that emulated the existing brand and style. Laid back and highly personal, the neighborhood-centric shops were all about the coffee, the atmosphere, and the interpersonal relationships built around the shops. As part of a highly surgical small team, my role as lead user experience designer and platform engineer was to prop up the platform on a CMS and stylize it significantly beyond the capabilities of the system, while continuing to provide a content management interface that allowed flexible design and delivery. 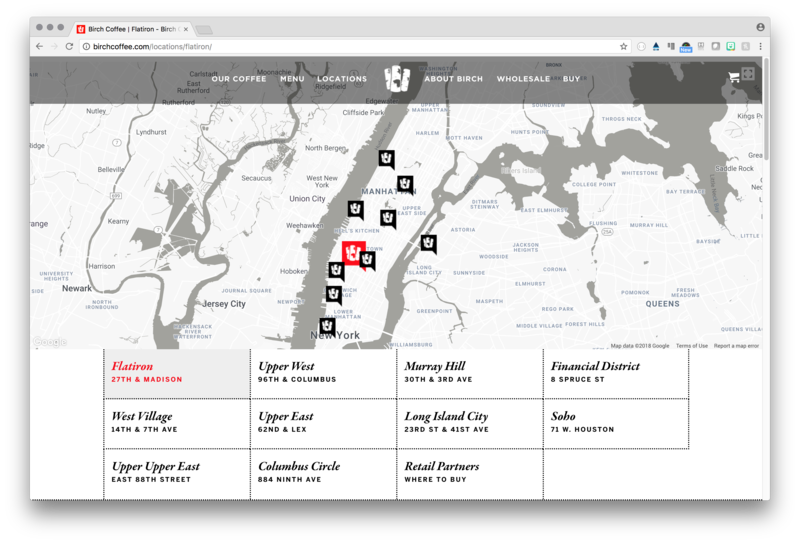 Additionally, custom programming around the video elements, location mapping, and ecommerce features were required. The owners of Birch Coffee continue to regularly evolve their site in order to meet the needs and desires of their customers, maintaining a highly personal appeal with a fun, engaging, but informative site. As the number of storefront outlets and ecommerce has expanded (including a subscription based coffee delivery product), the transactional portion has been moved to an ecommerce-specific platform, introducing a more complex need for managing consistency. For more information on Birch Coffee visit their web site.